The Smart EVSE can dynamically adjust the maximum power the EV will charge with. It supports a charging socket with locking actuator, or fixed charge cable. Up to four SmartEVSE’s can be connected together to allow for load balancing between charging stations. Comes in standard DIN rail enclosure. 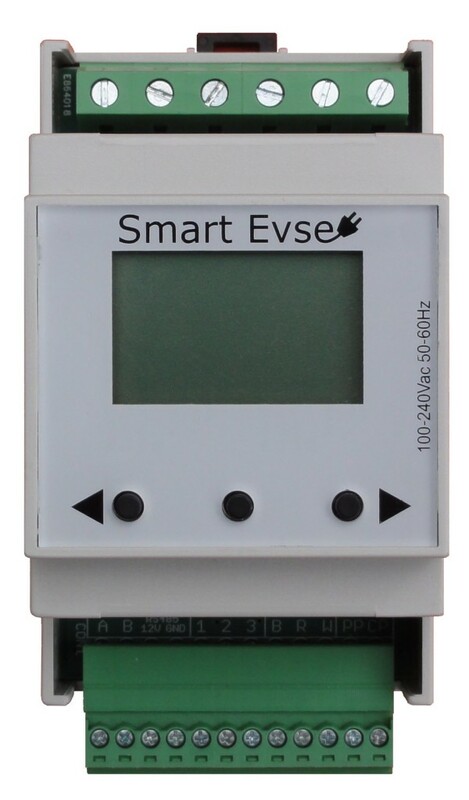 The load balancing feature allows you connect up to 4 SmartEVSE’s to one mains supply. 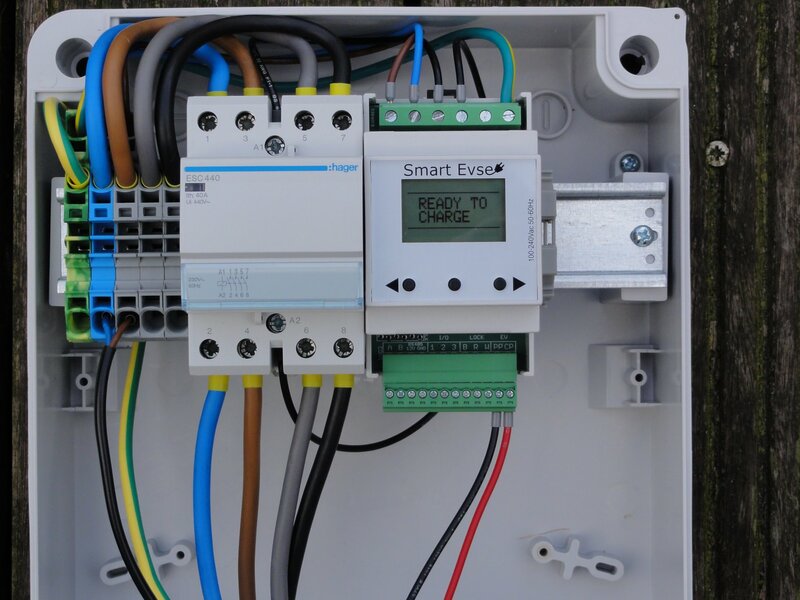 This shows Smart EVSE on the right with a 40A contactor/relays on the left. This setup is a 3-phase 32A (22kW) capable EVSE.